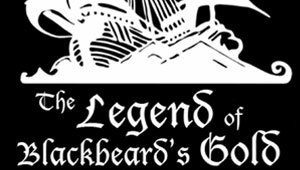 A swashbuckling action/adventure musical, this is a tale of courage, betrayal, justice, intrigue, trust, honor and love. The show is packed with action, romance and comedy, moving ballads, hilarious dialogue, a macabre guillotine, daring rescues and a thrilling sword-fight. 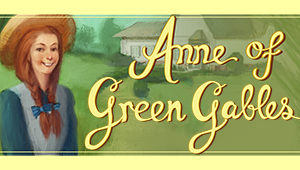 ArtsPower’s heart-warming musical, based on Lucy Maud Montgomery’s beloved novels, follows Anne on her unlikely journey to find the family she’s always wanted. Sponsored by Hills Bank and Trust Company. Summer Camp: There's No Business Like Show Business! Summer Camp: Masks, Puppets, and More! 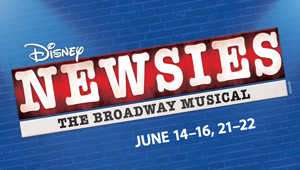 Set in turn-of-the century New York City and based on the real-life Newsboy Strike of 1899, NEWSIES is the rousing tale of Jack Kelly, a charismatic newsboy and leader of a ragged band of teenaged "newsies," who dreams only of a better life far from the hardship of the streets. 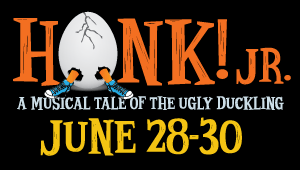 Adapted for young performers, and with a score by George Stiles and Anthony Drewe (Mary Poppins), Honk! Jr. is a heartwarming celebration of being different that is sure to delight audiences of all ages with its sparkling wit, unique charm, and memorable score. Tickets go on sale to the public April 30, 2019. Summer Camp: So You Want to be an Actor? 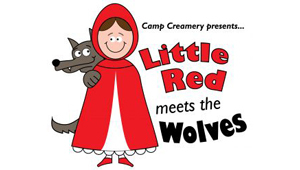 Summer Camp: Popcorn Players - Fairytale Mayhem! 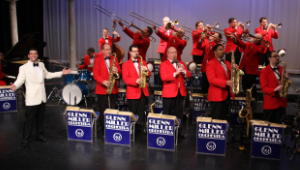 The present Glenn Miller Orchestra was formed in 1956 and has been touring consistently since, playing an average of 300 live dates a year all around the world. 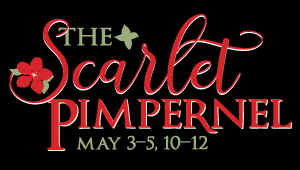 Tickets go on sale for Center Stage Society members April 16. Tickets are available to the general public starting April 23. Date: Thursday, August 8, 2019 at 7:00 PM.